The day began with a visit to the Clara White Mission in Jacksonville, Florida. Breakfast was served to nearly 400 impoverished and homeless individuals. Many of those who came we’re happy to have a warm meal served to them by volunteers who took time from their Thanksgiving day to make this possible. The need is great all across the United States. 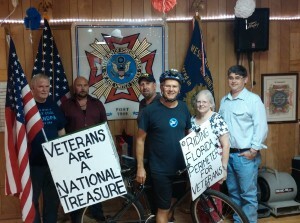 A film crew from CBS 47 with reporter Bridgette Matter picked up on the Victory Florida Kindness Tour’s bicycle which I brought in to the facility. It is nice to have the media help to spread this message to veterans and their families. 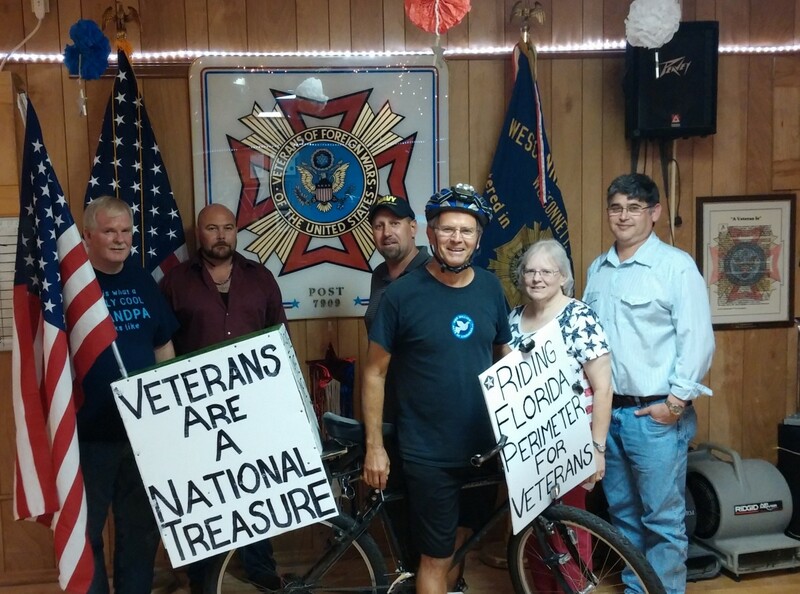 Later in the afternoon we visited VFW Post 7909 in the Orange Park area of Jacksonville. The officers of this post invited us to have Thanksgiving dinner with their VFW family. This entry was posted on Friday, November 27th, 2015 at 9:14 am	and is filed under Kindness. You can follow any responses to this entry through the RSS 2.0 feed. You can leave a response, or trackback from your own site.